That’s a new-old take on the Girl Power concept and I like how colorful it is. All the characters modified by the artist are infamous for their submissiveness and readiness to compromise themselves to be loved by their men (Cinderella ran barefoot on only gawds know what roads, Arielle went so far as removing her tongue and ability to speak out for herself and it didn’t really pay off etc) and here they are regaining their power in a way. 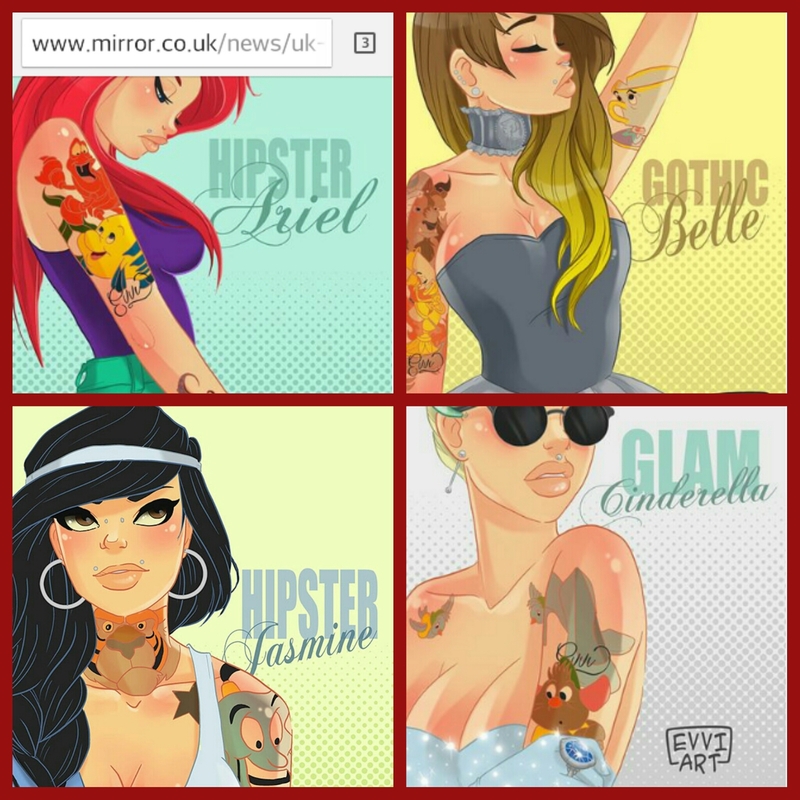 Sure, they still look like a tatted-up version of Barbie but there’s a certain edge about them and I like them in a way. 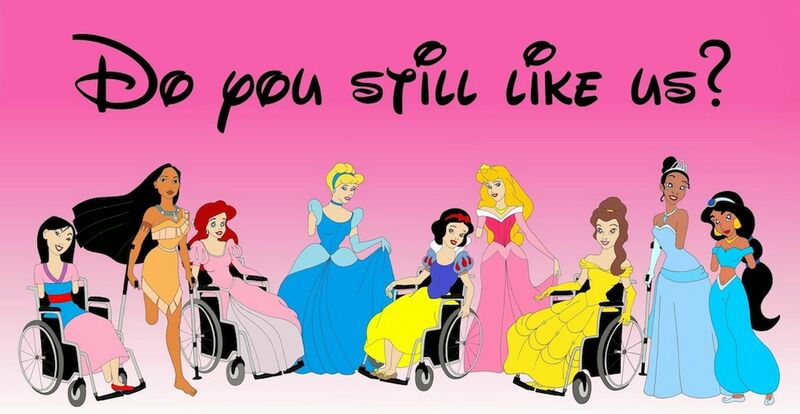 A much more interesting, however, take on Disney characters was done by another Italian artist, Alexandro Palombo who dared to take us waay behind our comfort level and confronted us with disabilities. Very interesting and thought-provoking but also served in a light way. Now, who’ll take male characters and start working on them? the video’s good, thanks! kind of morbid, too, tho!